At Doctors Appointment Physician Shows To Patient Shape Of Thyroid Gland With Focus On Hand With Organ. 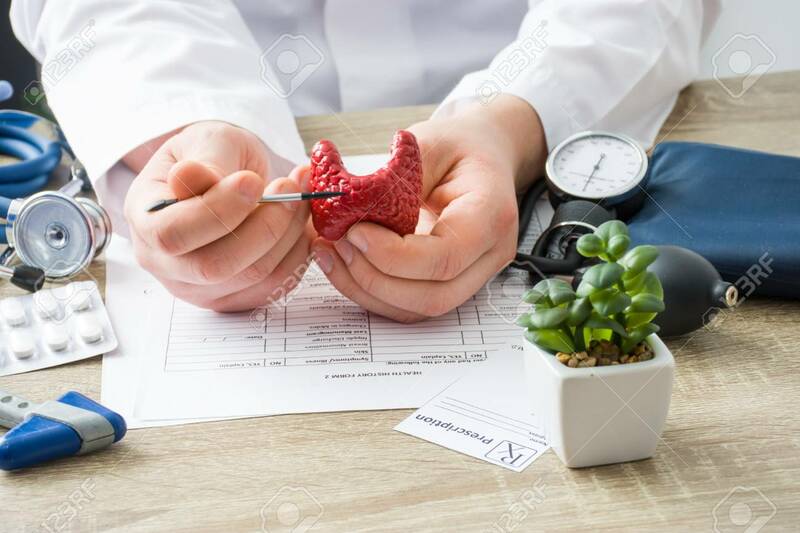 Scene Explaining Patient Causes And Localization Of Diseases Of Thyroid And Endocrine System Royalty Free Stok Fotoğraf, Resimler, Görseller Ve Stok Fotoğrafçılık. Image 118411129.